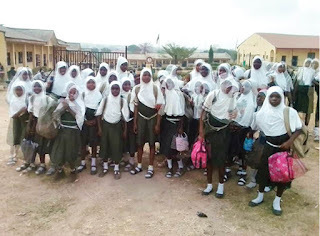 Not fewer than Fifty pupils of LAUTECH International College (LICO), Ogbomosho, in Oyo State, were on Monday shut out of school for wearing hijab. This is happening a few months after some students of the International School, University of Ibadan (UI), were banned from coming to school because they wore hijab. The Muslim parents of the school had earlier requested for the school management’s permission for their children to wear hijab, but their request was declined. The Muslim parents argued that they followed due process to ensure that the rights of their female children were not tampered with, but the Christian parents insisted that such inclusion in their uniform should not be introduced. It was gathered that among the 43 members of staff of the school, three are Muslims, while 40 who are Christians are opposed to the request. The school was established in 2004 by a former Vice Chancellor of UI, Prof. Salami (a Muslim), who appointed a Christian as chairman and secretary of the committee that set up the school. According to a staff of the school who, when the school was established, there was no clear-cut mode of dressing in the school handbook and that the management deliberately postponed resumption date because there was information that the Muslim parents were planning to implement wearing hijab on their willing female children. One of the Christian parents, Prof. Adeboyejo, told Daily Trust Saturday that the number of Christian staff of the school had nothing to do with the agitation to wear hijab because employment was based on merit. Prof.Adeboyejo said the school was a private school which had its own governing board and was funded by parents. He pointed out that the school had a tradition of sewing uniform for its pupils and parents were not allowed to do so. The concerned parents, in the communique signed by the duo of Mr. Ismaheel Adigun and Mr. AbdulRahman Elegbede, chairman and secretary respectively, appealed that the process relating to the use of hijab by willing female Muslim pupils of LAUTECH Staff School and LAUTECH International College be concluded in earnest. In attendance at the meeting were the Chairman of the Governing Board of LAUTECH International College, Chairman of the Governing Board of LAUTECH Staff School, Chairman of Ogbomoso Parapo, Chairman of the PTA of LAUTECH Staff School, Chairman of the PTA of LAUTECH International College, Chairman of LAUTECH Security Committee, DSS Ogbomoso North Local Government, Principal of LAUTECH International College, Headmistress of LAUTECH Staff School, Representative of the LAUTECH Public Relations Unit and representatives of Muslim parents. 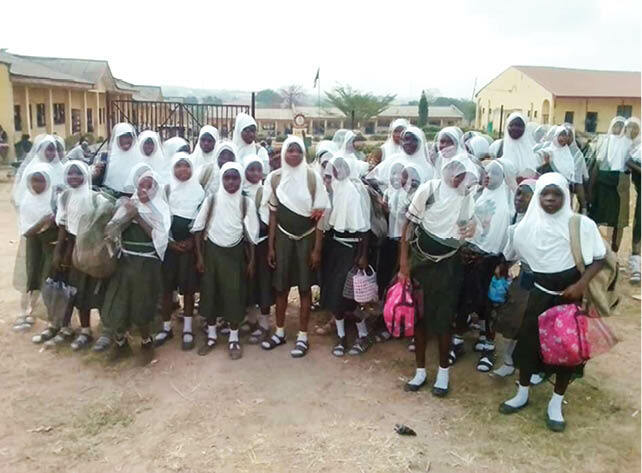 The Principal of the school, Ademola Animasahun, confirmed that normalcy had returned to the school after a peace meeting between the concerned parents and the school’s management.